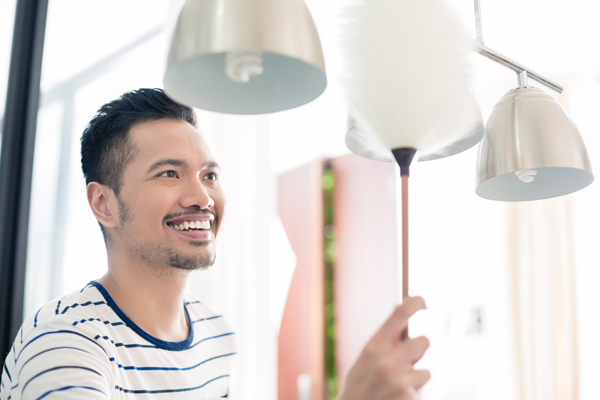 Light fixtures are probably one of the biggest nuisances when it is time for spring-cleaning. They collect tons of dust in their intricate details, they require balance and a stepladder to reach, and don’t get us started on those nasty dead bugs hiding in unknown places. You’re probably thinking that you can just put off this chore until next spring, but we advise you not to. Having dirty light bulbs could be wasting you up to 30% of light and energy! If your light bulbs and fixtures are dirty, they could be blocking light from escaping and illuminating your room, causing a dimmer atmosphere. By keeping your bulbs and light fixtures clean, you’ll be getting the most of what your paying for and your room will stay well lit! As always, Hortons is here to help with any of your lighting needs. Shop online or visit one of our stores today. Happy spring cleaning!